This is an important consideration because scientists say the world needs to begin reducing its total emissions within the next decade to avoid the worst effects of climate change. By 2050 or so, they say, net carbon emissions will need to be nearly zero. Cleaning up the transportation system will be a big part of that. Transportation is responsible for 28% of greenhouse gas emissions in the U.S, and 60% of those emissions come from light-duty vehicles like passenger cars, according to the U.S. Environmental Protection Agency. For short trips up to 35 kilometres (about 22 miles), the regular car produced fewer emissions than the flying car. For longer trips, the flying car was cleaner to operate. 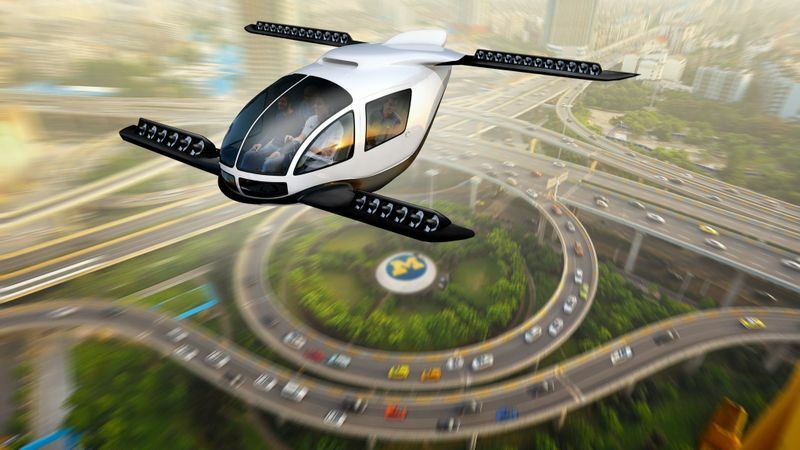 The key to the flying car is to spend enough time in the air — and carry enough passengers — to justify the emissions produced during takeoff and landing. Passengers should be motivated to use flying cars because they can get them to their destinations faster, Kasliwal said. Not only do VTOLs have a much higher top speed, but they can also take more direct routes and thus log fewer total miles. Previous: Previous post: Are university campuses turning into mini smart cities? © 2019 Autonomous Vehicles Expo. Built using WordPress and OnePage Express Theme.